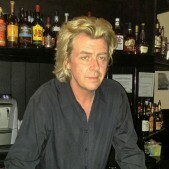 Excited about the Max Resto lounge Vibe, Michael loves both food & live music with equal passion. On the food side he features Tapas & Tasting Menus that are as diverse as they are taste filled! On the Music side they feature as elite selection of local Smooth Jazz talent such as Chris Smith, Chantal Chamberland & Rob Reed! Keep up the great work Michael!